Jeanne Antide Thouret was born on the 27th November 1765 at Sancy-le-Long in the Diocese of Besançon, in the Doubs area of France. Jeanne was the fifth child of eight children. Her mother died when Jeanne was 15, leaving her to care for her father and siblings. Jeanne wanted to join a community that combined prayer with community living and ministry to the poor. In 1787, at the age of 22, Jeanne entered the congregation of the Daughters of Charity, hoping to live a life of prayer, community life and service to the poor. During the suppression of religious orders in the French Revolution in 1793, all Religious orders were banned and their members dispersed throughout the country. Jeanne was ordered home to a secular life. She refused, and tried to escape the authorities. She was captured and beaten so badly that it took her months to recover from her injuries. This did not deter Jeanne from continuing her work as a Daughter of Charity, namely caring for the sick, the poor and those wounded during the Revolution. They urged Jeanne to return to France and to take in young women and train them in caring for the sick and educating children. Jeanne accepted the request and was able to return to France in 1799 where she opened a school, a dispensary, and a soup kitchen for the poor in Besançon. With this small group of helpers, Jeanne founded a new Congregation of the Sisters of Charity to maintain and develop these works. In 1810, Jeanne Antide was called to Naples. There, together with a group of sisters, she was faced with a very hierarchical social system where the wealthy never encountered to poor. Jeanne Antide was given the responsibility of the Hospital of the Incurable, the largest hospital in the city, with the sisters often visiting the poor and sick in their homes. In 1819, the Pope approved the Rule of Life, a book she wrote as a guide for the women who followed her. 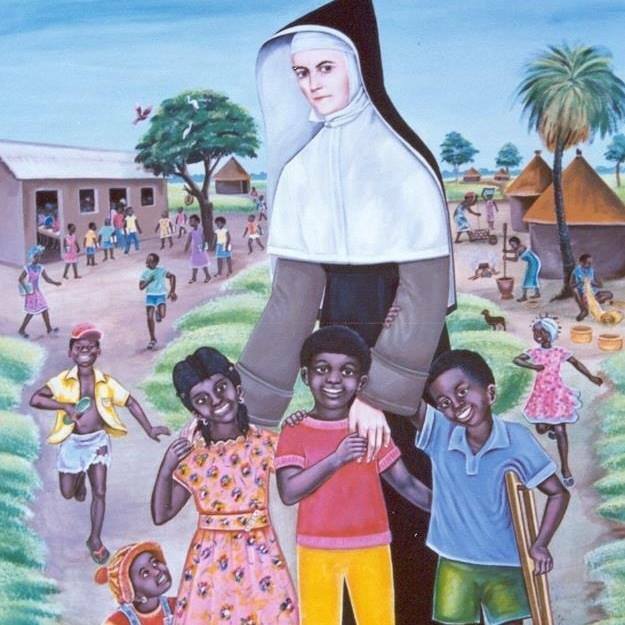 In fact, the Rule of Life is still used today by the Sisters of Charity of St. Jeanne Antide. Jeanne Antide died in Naples in 1826. In 1934, Pope Pius XI declared her a Saint. "Let us love Jesus Christ,let us love Him to the end of our livesand we will be sureto possess Him forever in heaven." "I would cross the oceans,I would go to any part of the world,if I knew this to be the will of God." "To touch the poorto know, love and serve Godis to do in partwhat the Saviour of the worldcame to do on earth,to bring about the Kingdom of God." The Sisters of Charity of St. Jeanne Antide Thouret embrace the CORE GOSPEL VALUES of love, prayer, and service. CHARISMA"In truth I tell you, in so far as you did this to one of the least of these brothers of mine, you did it to me" (Matthew: 25,40). Love God and serve him in the poor person. Prayer and the apostolate are the two faces of only one truth to live: Charity. The sisters focus their energy and resources in service to the poor. They are attentive to the needs of the poor, becoming personally involved in their lives and serving them with respect and dignity. The Sisters take four vows: poverty, celibacy, obedience, and service to the poor.